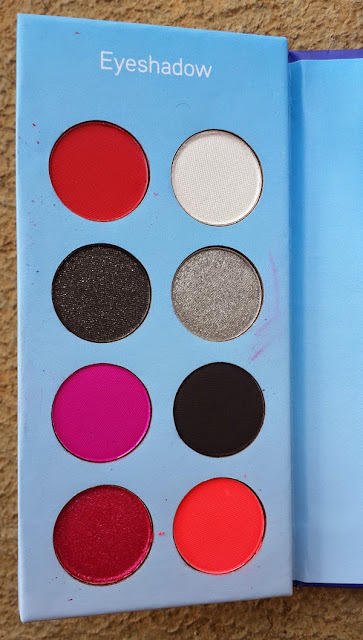 Catra Samoedro: Fuschia Smokey Look With BH Cosmetics Hollywood Palette + Video! At the first time, i was so confused which palette that i shud grab first. I was searching for the swatch, comparison etc. Before i decide i'm gonna grab Hollywood palette, i was thinking i want to have the 70's or 80's palette. 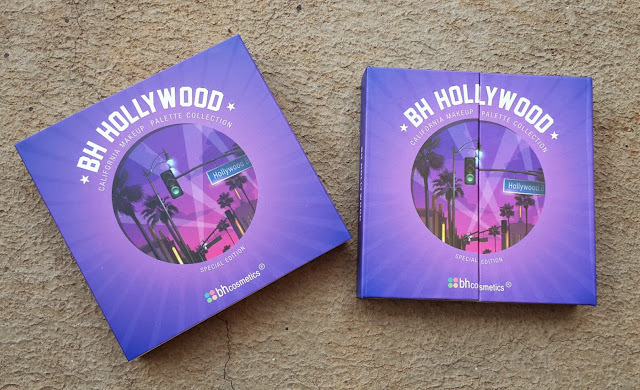 But after i was thinking over and over again, i ended up order this Hollywood palette. This Hollywood Palette consist of so many fabulous and brave color. I was thinking.. Will i wear this color for my everyday use? Hahhhaha! If you're a natural kind of person, maybe you won't like this. But, sometimes we have to move to our comfort zone right? 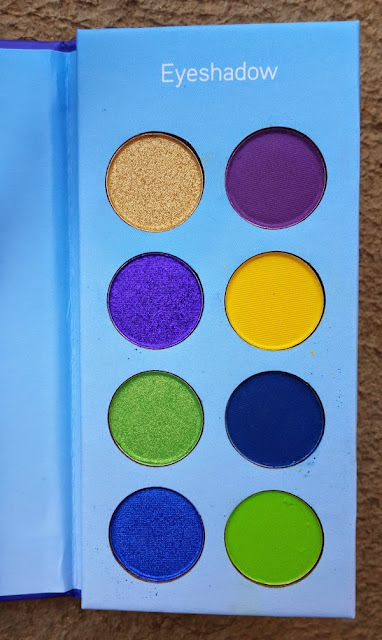 You never know how fun wearing this colorful eyeshadow hahaaha..
Hollywood palette mix with the red, fuschia, silver shades and neon green, blue, gold and purple. You can create so many looks with this. Ok, now i will talk about the quality of each shade. Because, there is a good quality of this also there is a so-so finishing and color payoff. For the first time using this palette, you must swirl the brush to it until 4-5 times to make the color show as well. I dunno, maybe because this eyeshadow is a lil bit chalky and not too creamy like another brand. But overall, i enjoy playing with this palette. 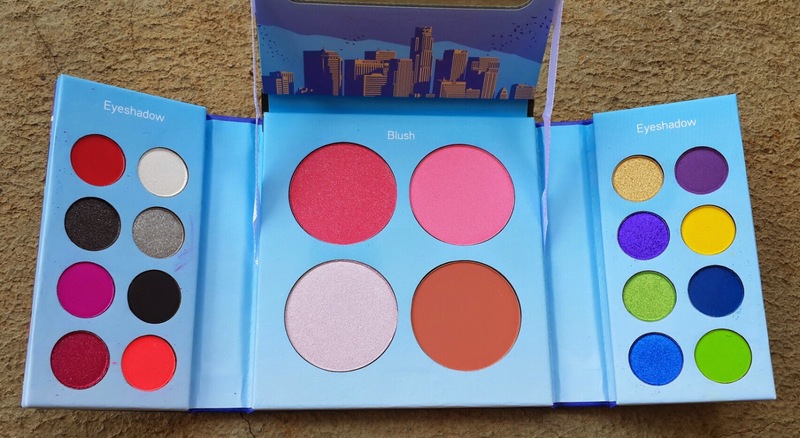 And the blush part is awesome!! Very pretty, pigmented and long lasting on my cheeks (It stays on my cheeks for about 4 hours to go). It has a good pigmentation. Even though it's a lil bit chalky and not too smooth as well. The texture is not too pigmented, chalky, but buildable. We must swipe/dab at least 4-5 times. Mostly it's pigmented and the staying power on the cheeks is great! Me Likey..
Well, there's plus minus about this palette. - They have so many awesome shades. So fun and festive. 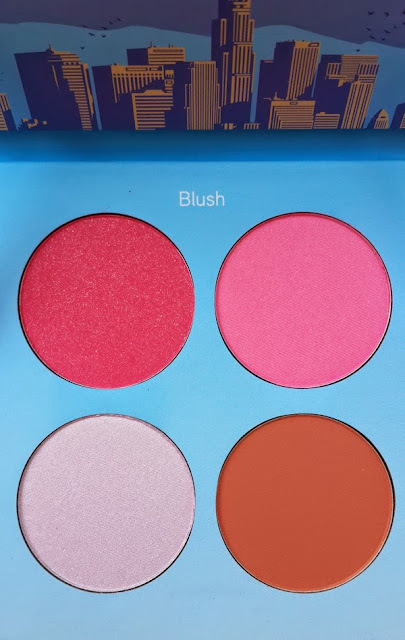 - The blushes are great! - Some color doesn't have strong pigmentation. Even though we can trick it with swipe or dab repeatedly. So, Here's me using this BH Cosmetics Hollywood Palette, support with other products. I wanna try the Malibu and San Francisco Palette. I give the poin B+ for this Palette!